This exhibition will examine the visual culture of the suffrage movement, revealing how the “look” of women’s rights developed, drawing upon such wide ranging allegorical and historical figures including ancient heralds, Columbia, Joan of Arc, and Betsy Ross. 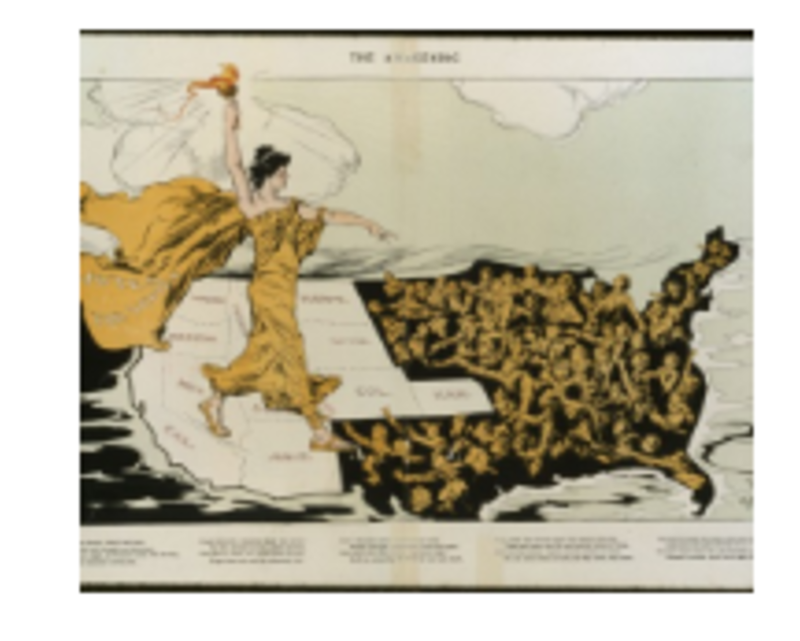 Votes for Women: A Visual History will include drawings, illustrations, and posters from museums, historical societies, and private collections that visualize the complex political messages conveyed by suffragists. Also included will be historic photographs of marches, rallies, and the celebrated procession in Washington DC, held in March of 1913. Examples of the costumes, clothing, sashes, and other emblems of women’s activism worn by suffragists will enliven the presentation, drawing comparisons between the representations and realities of women’s struggle to win the vote.